3" blade of 3/32" 15N20. Hidden tang with Ironwood. Customers choice of wood,Bone,or antler. 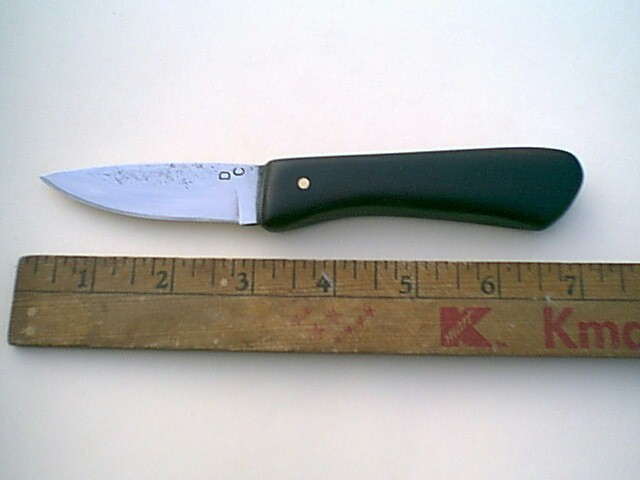 Base price of this knife is $ 125 (as pictured). Comes with a custom leather sheath.